All you really need to be a true book-lover is a love of books. Reading, when you get right down to it, is a fairly simple activity: you sit and stare at thin slices of wood with ink squiggles printed on them, and you hallucinate vividly. 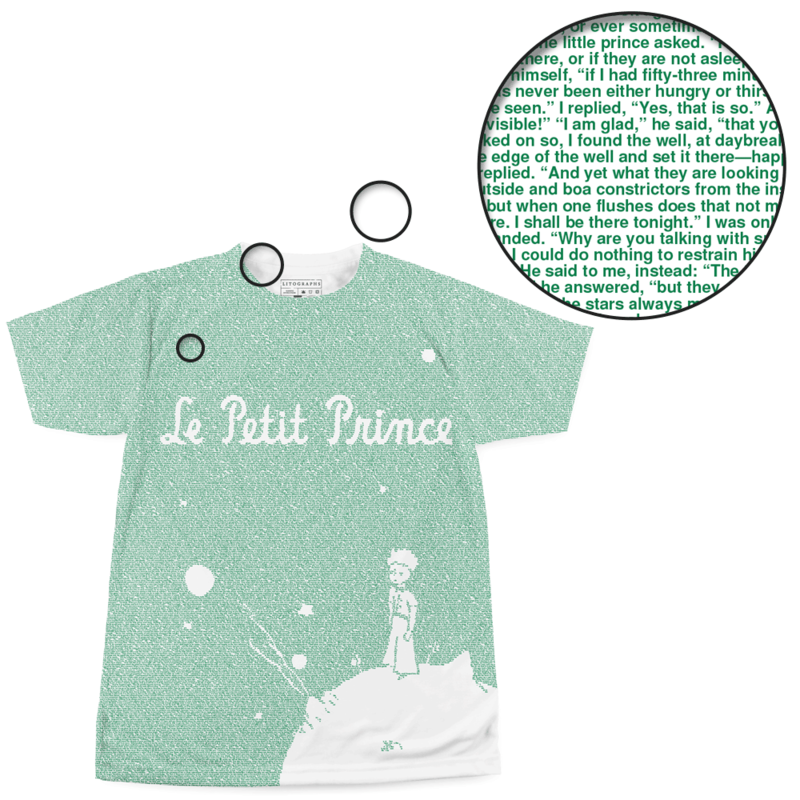 Yet somehow, even though reading only really requires a book and a desire to read said book, we all end up with a ton of book swag: literary t-shirts, bookish bags, bookmarks that sit neatly on your desk while you mark your place with crumpled receipts. Bookworms seem to accumulate a lot of book things, and we wouldn't have it any other way. Here are a few of the key items that every true book lover owns, because loving books usually means loving the book lifestyle. I'm sure there's some lonely book-lover out there who doesn't like tea, but we can all agree that books are better when consumed alongside a hot beverage, right? Every reader I've ever met has a trusty mug to get them through those long, cozy winter reading nights. And yes, it's usually a book related mug, like this mug featuring the titles of some of the greatest banned books. Look, just because I'm a monster who occasionally dogears my book pages, it doesn't mean that I can't appreciate a cool bookmark when I see one. And every book-lover owns at least one fancy, borderline impractical bookmark. 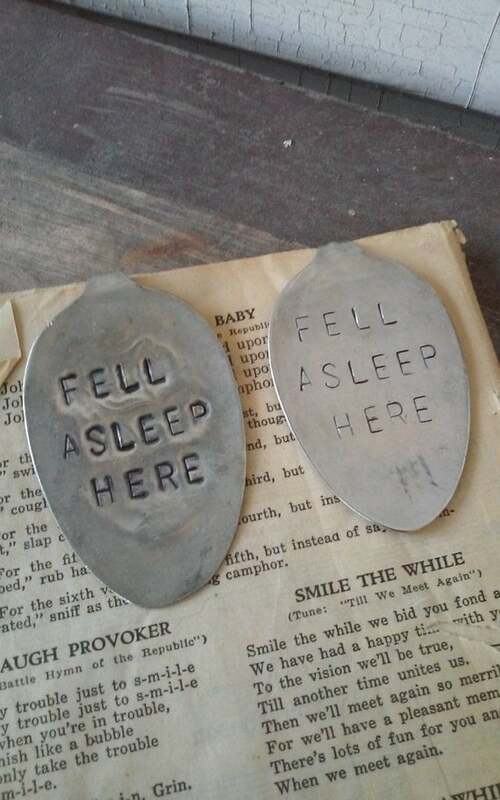 You probably didn't even buy it yourself, it just appeared in your house one day, ready to mark your pages (or more realistically, decorate your nightstand because you never remember to bring it with you). Sure, you have shelves and yes, you put books on those shelves. But most book-lovers find themselves with a very skewed book-to-shelf ratio, and they end up needing a set of bookends (or at least a bookend) to prevent a catastrophic book avalanche. 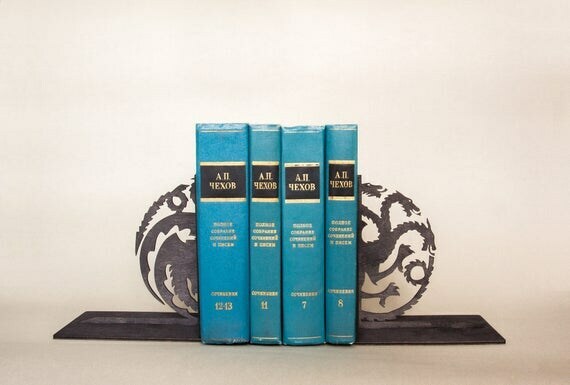 There's always the classic bent metal bookend, but there are also a ton of fun literary designs available out there in the book loving recesses of the internet. The ubiquitous tote bag is perfect for toting books to and from the library. But a literary tote bag makes you feel well-read and dignified even when you're using it to carry potato chips and loose change. Whether you have a tote bag styled after your favorite book, or just a free tote bag from your last visit to a literary festival, every book nerd needs a solid tote. ...or even something printed with the entirety of your favorite book. If you're a dork for the classics, chances are extremely high that you own some sort of small, humorous doll version of your favorite author. 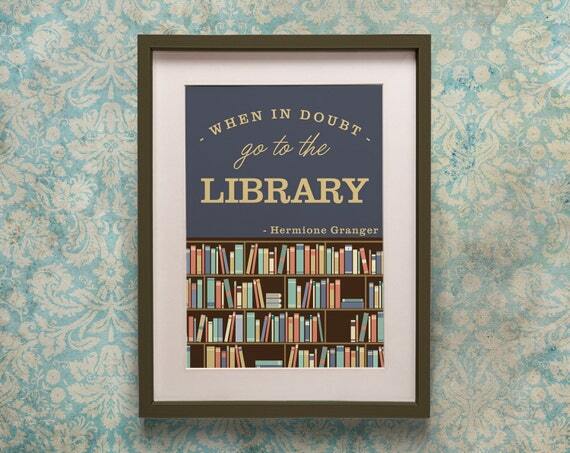 If your tastes run more modern, you probably have an attractive canvas print of one of your favorite author's quotes. I'm not saying one is better than the other (but I do own multiple Shakespeare action figures). 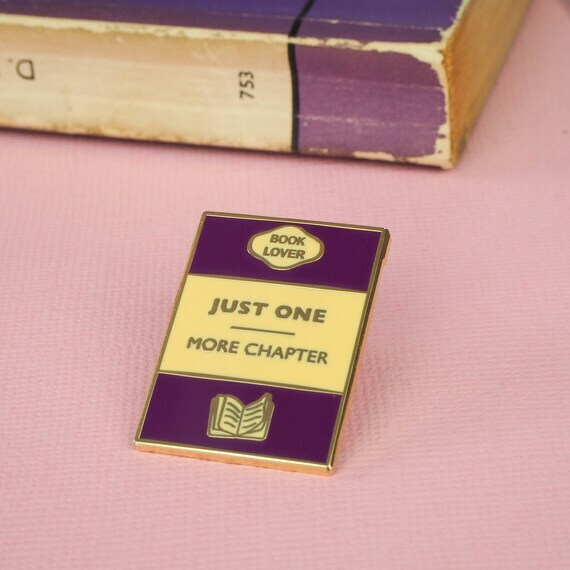 Whether you go for the jean jacket covered in buttons or the one tasteful enamel brooch, you surely own at least one pin marking you as a book lover. Pins are a fun, subtle way to make sure that everyone around you knows that you'd rather be reading than talking to them. Honestly, you don't even have to be a huge Potterhead to own at least one Potter-themed object. 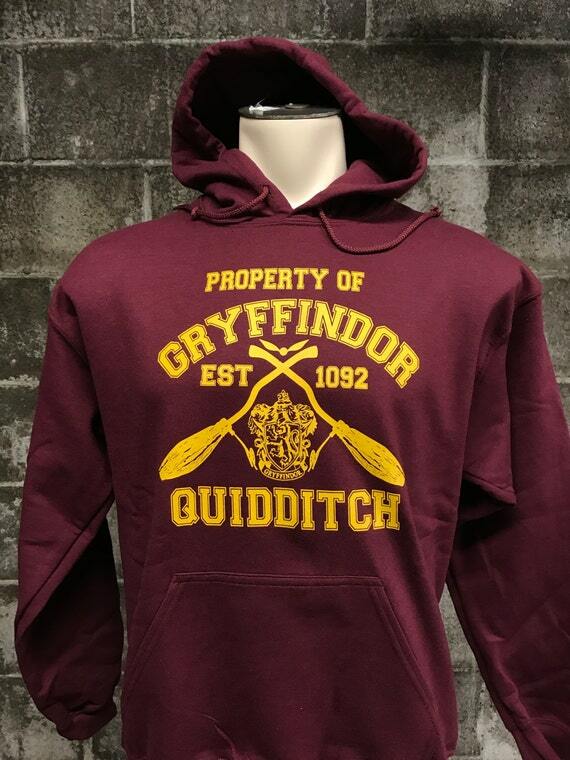 Despite the surprising lack of Potter merchandising back in the day (think about it: there wasn't even a McDonald's toy), there is now a huge market for Potter fans of every degree. Bonus points if it's a Harry Potter-related bookish poster. Every literature nerd has to have some kind of book-related poster, even if it's essentially just an ad for your local library that you keep inside of your home. And blankets. And sweaters. Readers have an in-born instinct for coziness. 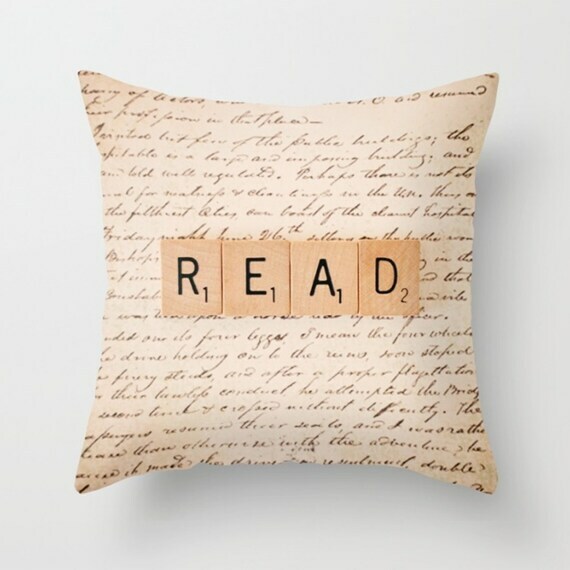 I have no empirical evidence to back up this claim, but I believe deep in my heart that book lovers own more pillows than the average person, especially if those pillows have pro-reading slogans on them. This may sound obvious, but when you think about it, it would actually be quite easy to be a book lover and not own that many books. You could download e-books and get a library card and never have to worry about running out of shelf space again. And yet... who wants to live that sort of shallow existence? Every true book lover owns a plethora of old fashioned, physical books because, well... books are great. They look beautiful. They smell nice. And if you didn't have so many, how would you re-read them all?